Our panel seems to prefer the fancier and less messy method of enjoying the tradition by selecting Crabcakes by a large margin. Peanut butter and jelly, spaghetti and meatballs and bacon and eggs are some of the great duos in food history but in Maryland, Old Bay and Crabs are Maryland’s true power couple. Our panel seems to agree which isn’t surprising since many of us put Old Bay on our popcorn. Good news for restaurants, our panel still enjoys the service and leisure of a good restaurant or crabhouse, favoring eating out rather than having to clean up the “hopefully” bare shells at home. Baltimore broiled is the way to go with crabcakes according to our panel. While many chose fried or baked, broiled was overwhelmingly the favorite. Go big or go home. When our panelist eats crabs, they prefer to fill their belly with large crabs. 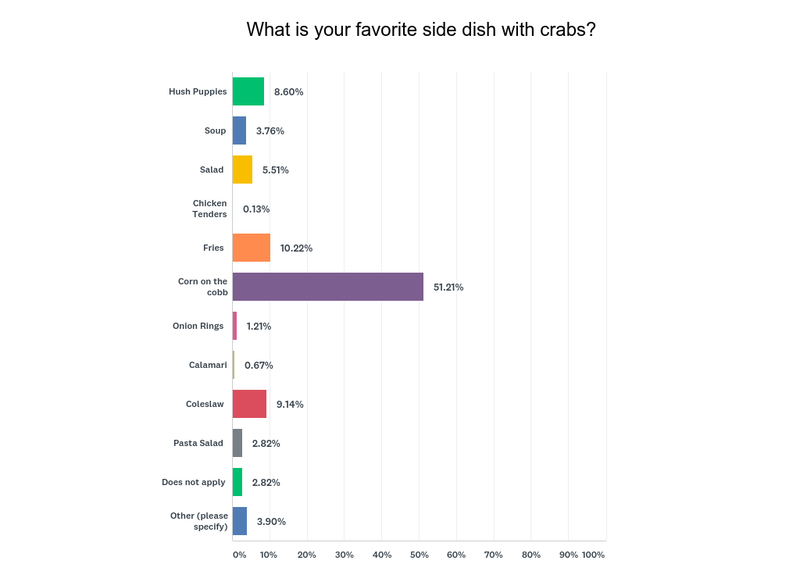 Whether or not to fill yourself up with sides while eating crabs is argued about in Maryland more than politics. Our panel does enjoy fresh corn on the cob to complement spicy crabs. Nothing quite washes crabs down like an ice-cold beer. 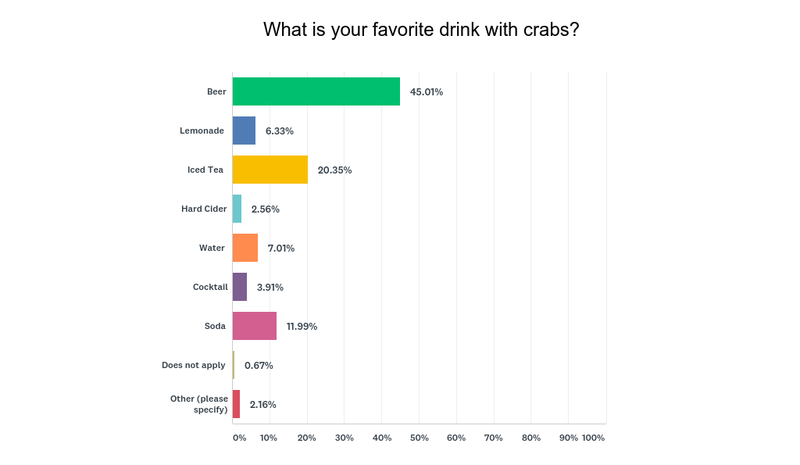 However, many of our panelists prefer to be “somewhat” productive after a meal of crabs by choosing Iced Tea or Soda. Baltimore may not have had a first-place team in a while but the town does remain the most popular for crabhouses in the state. To request a summary of the survey data collected for this article contact molly@obaltimore.com. If you would like to learn more about Observation Baltimore and how we can help with your next project here in Baltimore, contact us today. Visit www.observationbaltimore.com or call 410-332-0400 and ask for Karly. This entry was posted on Wednesday, August 1st, 2018 at 2:46 pm. Both comments and pings are currently closed.